2015 GMT: International Front. By the narrow margin of 99-0, the US Senate has approved a bill with sweeping sanctions --- far wider than the UN resolution that passed earlier this month --- on Iran's banking and energy sectors. 1545 GMT: Parliament v. President. Video has been posted of Speaker of Parliament Ali Larijani's speech in the aftermath of the Basij/student demonstrations against the Majlis bill asserting control of Islamic Azad University. 1510 GMT: Political Prisoner Watch. Student activist and Mousavi campaign worker Arash Sadeghi has been sentenced to six years in prison and 74 lashes. Labour activist Mohammad Ashrafi has been arrested. Student Sina Tahani, detained earlier this month for distributing Mousavi and Karroubi leaflets, has turned 18 in prison. Photographs of filmmaker Mohammad Nourizad, released yesterday from detention, have been released. 1240 GMT: This Week's Political News --- Shutting Down the Reformists? An EA correspondent follows up the news, which we noted earlier this week, that Parliament has deferred the local elections for Tehran and other city councils until spring 2012. The correspondent asserts, "Should the Guardian Council approve this, this would give time to the conservatives to rout the reformists, removing them completely from the political radar. I believe it to be an ominous sign regarding the attitude of the ruling clique towards the concept of electoral politics." 1230 GMT: Political Prisoner Watch. Fatemeh Shams, the wife of student activist Mohammad Reza Jalaeipour, has told Radio Farda, "In a short phone call [on 20 June, six days after his detention], he told his mother that he was being held in solitary [confinement], but when asked in which prison, he remained silent." Shams added, "Two days before Mohammad Reza's arrest, I received threatening e-mails from a group called the Cyber Army of the Islamic Republic saying 'we'll arrest your husband.'" The same group sent her another threatening e-mail after her husband's arrest saying, "We'll make you return to Tehran." 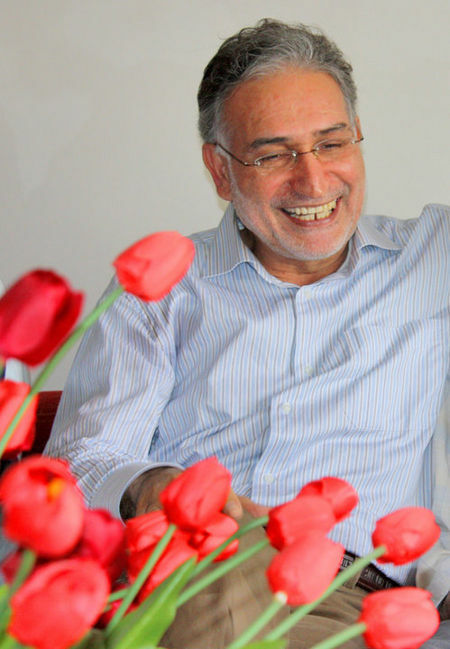 Seyed Hossein Marashi, former member of Parliament, Vice President in the Khatami Administration, and brother–in-law of former President Hashemi Rafsanjani has given leave of absence from prison for a week. Marashi is serving one year in prison for propaganda against the regime. 1225 GMT: Parliament v. President. Footage has emerged of the Basij/student demonstration in front of Parliament on Tuesday, protesting the Majlis bill maintaining control (and thus refusing to cede it to the President) over Islamic Azad University. 0754 GMT: The Situation Abroad. Writing in Rooz, Kaveh Ghoreishi highlights, "Iranian Refugees In Iraq Face Uncertain Fate". 0750 GMT: Political Prisoner Watch. RAHANA reports that 325 people were arrested during the month of Khordaad (May/June). 0730 GMT: We begin this morning with an analysis, "We Are Still Standing (for the Revolution) of Wednesday's statement by Mir Hossein Mousavi and Mehdi Karroubi. The International Campaign for Human Rights in Iran, with an interview with a student activist, highlights, "Summonses, Notices, and Dismissals at Qazvin International University". Fars News reports that the trial in Tehran Revolutionary Court of blogger Hossein Derakhshan has finally begun. Derakhshan was arrested 19 months ago. He is accused of “cooperation with enemy states, propaganda against the Islamic regime, promoting anti-Revolutionary groups, insulting sanctities, launching and managing vulgar and obscene sites”. Derakhshan was one of the first Iranian bloggers when he created “Editor: Myself.” He had settled in Canada but was detained when he returned to Iran in November 2008. For President Ahmadinejad, it is still eyes front-and-centre on the international front. He told an audience Wednesday, "The recent [United Nations sanctions] resolution against the Iranian nation was in fact a loud announcement of the fall of liberalism and humanism. Those who ratified the resolution are perfectly aware that it will have no impact." On June 7, 2010, Persian2English published an interview with human rights activist Ahmad Batebi. In the first part, Batebi discussed in depth the opposition movement in Iran. He focused primarily on analyzing the Green Movement and answered what he believes is feeding it and what it depends on for its survival. Part 2 of the interview focuses on a question about methods to better unify western support for the Iranian opposition movement. Batebi’s answer lead to a conversation about 2009 Presidential candidate Mir-Hossein Mousavi and his role in the 1988 massacres in Iran. Majlis on Wednesday voted in favor of a one-star plan according to which decisions that are made by the Supreme Council of the Cultural Revolution concerning Azad University should remain in full force and that Majlis should not interfere with the council’s decisions. The plan just came three days after MPs voted in favor of a bill confirming endowment of the properties of Azad University. On Sunday, MPs voted for a plan to support establishment of private higher education centers which also encompasses Azad University. "As the Green Movement enters into its second year, it is clear that the democratic movement in Iran is more vibrant, more powerful, and more creative than ever before and that frustrations by the Iranian people are slowly nearing a tipping point. Two important lessons can be derived from the movement's first anniversary........"
The UN's new "World Drug Report 2010" shows that while Afghanistan remains the world's largest opium producer, it is neighboring countries like Iran, Pakistan, and the former Soviet republics of Central Asia where a majority of the world's opium is consumed. Fine handed down by Iran's morality police to woman for "mal-veiling"
"[Ahmadinejad] put all of the regime’s achievements on sale and implied that the clergy are incompetent in governing the country ” he said. Polish and Swedish supporter of GM temporarily arrested in China! "Humanism is an approach in study, philosophy, or practice that focuses on human values and concerns. The term can mean several things, for example (1) a historical movement associated especially with the Italian Renaissance; (2) an approach to education that uses literary means or a focus on the humanities to inform students; (3) a variety of perspectives in philosophy and social science which affirm some notion of 'human nature' (by contrast with anti-humanism); and (4) a secular ideology which espouses reason, ethics, and justice, whilst specifically rejecting supernatural and religious dogma as a basis of morality and decision-making." #4 automatically eliminates Mr. Ahmadinejad and the IR as humanists since they base ALL their decisions on religious beliefs and dogma and not human needs and ethics. Dude is clueless about life and liberty. Welcome to the "Iranian Democracy" of Mr Kadivar! Arshama, did Kadivar say that he personally supports flogging? @ 1240 GMT: This Week’s Political News --- Shutting Down the Reformists? I fully agree with your correspondent, postponing elections of the city councils is the next step towards an unveiled paramilitary dictatorship, surely planned ahead, very likely in the post-electional phase after the protests. But I really wonder that no one reacts to Larijani's and the parliament's retreat in the university case, which is far more dangerous. If the Majlis should really cave in, it would mean that the hardliners have condemned themselves to insignificance! In this case it is no longer question of removing the reformists, but they will be removed from the political radar as well, paving the way for Mesbah Yazdi's interpretation of the Constitution, which considers the people as a flock of sheep to be guided by the SG (Supreme Guide) and himself, yearning for Doomsday. Khoda akhar o aghebate in mamlekat ra be kheyr konad! First of all, this is a question you should ask Kadivar himself. I really don't mind what a wannabe "Leader" says, but I get really angry, when he defends a constitution, declaring flogging not as torture, but as a "punishment"! Perhaps Iranians are born masochists, loving to be flogged, raped and tortured in the name of Islam and this "Holy Republic" -- imho they aren't and love to have personal freedoms like all other human beings. Apart from that labeling this inhumane constitution as "Iranian Democracy" is just another ploy for brainwashing the people by appealing at their nationalistic sentiments. If Mr Kadivar really believed in what he says, he would return to Iran and defend his ideas publicly, but obviously it is much more comfortable to sit in the West, benefitting from all its freedoms in order to reestablish an ideological system, based on the religious monopoly of power and violence. Khomeini praised democracy, when he talked to western journalists under the apple tree in Neauphle Le Chateau -- 31 years later we know, what he meant by "democracy"! Kadivar is even worse, as he defends this mockup of Islamic "human rights": what about legalised women's discrimination in his beloved constitution? 1. Wannabe "leader"? A cheap pot shot. Who are these "perfect" leaders that Iranian people should be following? Please help us because all I see are imperfect people. 2. " (Iranians) love to have personal freedoms like all other human beings. Can you quote where precisely Kadivar says that he defends the constitution? Defending something means believing in it as is, which is very different from using something as a tactic to move forward. Greens have repeatedly indicated the latter, not the former. Have you even read the Iranian constitution? 3. Are you even Iranian? How much time do you spend in Iran every year? What is the range of Iranian population segments that you are deeply familiar with? When was the last time you spent days living with a typical traditional Iranian family that lives in a village and works day and night to barely feed his family? The same family that consider the words of his local mosque's cleric as god's command? Do you know those people? Do you really think that "personal freedoms" are what they are fighting for? Are you sure that humans every where place such a high value on their "personal freedoms" or are you repeating George Bush's justification for invading Iraq and projecting what you've been told by our politicians (some of whom have never traveled outside of the country)? Do Christian Evangelicals in the US love personal freedoms or do they love to see everyone follow their version of religious mandates? Do they love personal freedoms or do they want anyone who breaks any of the rules in the Bible to suffer consequences? Please don't speak for the humanity unless you understand the diversity of what humans value. I for one place the highest value on my freedom to learn, believe, and speak but that doesn't give me the right to assume that everyone else must be just like me. 4. I don't understand what you are trying to say with your next sentence about "Iranian democracy". Are you saying that Kadivar believes what we have in Iran is "Iranian democracy"? Were you listening to his VOA interview this week when he said that a dozen years ago he wrote a book that rejected all Islamic and rational arguments for Velayate Faghih? Does that sound like he "defends the constitution"? 5. "If Mr Kadivar really believed in what he says, he would return to Iran and ..." So according to you we must tell all Cubans who don't like the Cuban government to move back to Cuba? Chinese to go back to China? Russians to go back to Russia? Are you serious? Then go talk to tens of millions of refugees all over the world and tell them to stop their whining and go home! 6. "...he (Kadivar) defends this mockup of Islamic "human rights": what about legalised women's discrimination in his beloved constitution?". Can you again provide a link to exactly what he said? Which forms of discrimination against women did he say that he supports? Were you listening to his VOA interview when he said that he is against mandatory hejab? Don't forget that Islam inherited most of its rules from Judism (and by default Christianity). Do you know that Jewish women cannot pray at the wailing wall in Israel at the sacred spots where men pray? Did you know that women are prohinbited from becoming priests, bishops, popes? I'm not a muslim but I would love to see all Iranian muslims follow open-minded muslim leaders like Kadivar, Montazeri, Taleghani, Shariati. I can't wait to read your rational, point by point reply. You said, "When was the last time you spent days living with a typical traditional Iranian family that lives in a village and works day and night to barely feed his family?" This is a misnomer. More than two-thirds of Iran's population is urban, not rural. You said, "Im not a muslim but I would love to see all Iranian muslims follow open-minded muslim leaders like Kadivar, Montazeri, Taleghani, Shariati." Shariati cleared the ground for the Islamic revolution, not least of all the Islamist reactionary element of it. Hardly someone to be looking up to. Why do Iranians need to look up to Muslim leaders? Why can't they look up to secular leaders who don't have to worry about shouldering the dead weight of sharia and the futile and superfluous task of massaging it to fit modern standards of political governance and human rights? 1. Urban does not mean Northern Tehran. Northern Tehran houses at most 5% of Iranian population, probably more like 3%. A very large % of Iranians are still conservative Muslim families who, as much as I wish it was not the case, believe in their religion. The Green Movement is not about getting rid of Islam in the society or even in managing the society. If it does get to that point, I'll be ecstatic but I am not holding my breath. Most of our laws in the west have their roots in the Bible, does that make our lives unlivable (ok, sometimes it does!). 2. Shariati was adored by the vast majority of Iranian youth for his new interpretation of Islam and for his redicule of the clerical establishment. Khomeini and his clan hated Shariati and did their best to eliminate his memory from Iranians' minds. Since the Green Movement took off, his writings are making a comeback inside Iranian universities, among the same students who are bravely dodging bullets and thugs in the streets. 3. I never said that I'd like Iranian people to look up to these guys. But if they are going to pay attention to ANY Muslim thinkers, I'd much rather it be these guys rather than Khamenei's 6th century thugs. The reality is that many Iranians still place a high value on the position of their chosen religious leaders (chosen by each individual, not the government). We sitting in the west and wishing that was not the case, doesn't change anything inside Iran. My bottom-line is this: Iranians inside Iran who are living under this brutal regime and making sacrifices to improve their lives don't care about what we, the outsiders, think they should do or what kind of government we think they should pursue. What they want from us is to support their struggle by keeping their fight alive on the int'l stage. I'm not trying to define my vision of a perfect society (I'll be happy to discuss that separately with anyone but that's an intellectual exercise, not a worthwhile political action). All I'm trying to do is support Iranians in whatever path they choose. Here we are the main problem of our oppostion: secular against religious; this evening, Setareh Derakhshesh interviewed Mr Mashayekhi that said; the problem of the iranian opposition is this, they have to work hand in hand, unified to be able to put out the current leaders of Iran; I am so scared seeing during the demonstrations in foreign countries people who have been fighting each other saying " why have you brought this kind of flag, ours is only green, white and red with IRAN in the middle, the other ones are forbiden " !!! it's so ridiculous fighting about this kind of detail; it means that our poor opposition is not mature, not at all democratic; for my self I don't care about different sort of flags, my problem is the lack of freedom, democracy, I can't bear witnessing my people suffering; those people in opposition are fighting for a virtual power, instead of thinking about freedom and people of Iran; we can have an islamic democracy, as an dictatorship secular regime; islam and democracy are not contractory; monarchy and dictatorship are not the same thing (exemple GB); it's hopeless to see this kind of debate and the more it last, the more we move away from freedom; enough is enough ! Did I say urban = north Tehran? No. Urban = living in a small to large metropolis. So again, your statement that most traditional Iranians live in villages is incorrect, since two-thirds live in cities. Yes, a large percentage of Iranians are conservative Muslims. But piety does NOT equal endorsement of theocracy. Western media constantly makes this mistake. I have several relatives who dutifully perform their daily namaz and curse the mullahs in the same breath. Shariati might be popular again, I have no idea. But I don't see the wisdom in double dipping. I'm sure those debating Shariati are from the same North Tehran that you dismiss. Very few manual laborers in my neck of the woods are debating Edward Said or Heidegger. I simply don't agree with this insider/outsider distinction that's often used to shut down conversation. The 3 million Iranians in the diaspora are still Iranians, regardless of where they put down their heads. They still have families, loved ones, friends in the country. Many travel there regularly. I understand that there might be some hotheads in the diaspora fulminating against the regime from the comfort of their homes. But that doesn't mean that Iranians outside of Iran ought to be sneered at as if they were interlopers. You said, "All I'm trying to do is support Iranians in whatever path they choose." I agree. But that doesn't mean that Iranians, inside or outside the country, can't advocate what they think ought to be chosen. The secular option needs a vigorous and robust voice, especially since it's muzzled inside of Iran. Agree Bozorg however we as the dispora have a responsibility to share thoughts with caution and not to suggest actions which will cause greater danger for those in Iran. Ange said, "islam and democracy are not contractory;"
Many Iranians would disagree with you, even former insiders and IRI loyalists, such as Akbar Ganji. Frankly, I think your comment is a bit hysterical. The opposition can remain unified and focused while discussing their different visions of Iran, a nice exercise in democracy for a democracy-seeking opposition, don't you think? This is exactly what Mousavi called for in the Green Charter. 1. "your statement that most traditional Iranians live in villages is incorrect, since two-thirds live in cities." Can you show me exactly where I said that? My point was that there is a considerable portion of our population that is far away from the discussions of "personal freedoms" as Arasham had raised. You presumed something that I never said and have now gone on in two comments trying to refute something that I never said. Reminds me of Bush arguing with his imaginary opponents about how "they hate our freedoms"! They never said that but he continued to argue with them on that point for 7 long years! 2. "piety does NOT equal endorsement of theocracy." Let me go back to my question for Arasham and ask you the same thing that he did not respond to: "How much time do you spend in Iran every year? What is the range of Iranian population segments that you are deeply familiar with? When was the last time you spent days living with a typical traditional Iranian family that lives in a village and works day and night to barely feed his family? The same family that considers the words of his local mosque's cleric as god's command? Do you know those people? Do you really think that "personal freedoms" are what they are fighting for?" A considerable portion of Iranian population wants to live in a society that complies with their Islamic beliefs and unfortunately there are still millions who do like living in a theocracy. They will not go away just because another considerable group of Iranians is interested in their "personal freedoms". Unless we are ok with a civil war that will cost millions of lives, these two groups (and others) have to find win-win scenarios that satisfy all their needs. 3. "The 3 million Iranians in the diaspora are still Iranians, regardless of where they put down their heads." I did not question that their claim to be Iranians, that's not my place. What I said was that "Iranians inside Iran who are living under this brutal regime and making sacrifices to improve their lives don't care about what we, the outsiders, think they should do or what kind of government we think they should pursue. What they want from us is to support their struggle by keeping their fight alive on the int'l stage." If you disagree, please provide evidence that a considerable number of Iranians inside are truly interested in finding out how the small minority who picked up and left believe the rest who stayed should live their lives!!! Yes, but that wasn't the subject of my reply to Arasham that you jumped in the middle of. As a reminder, Arshama had said "the Constitution of the Islamic Republic, including flogging, which is not conceived as a torture, but a measure of punishment...Welcome to the "Iranian Democracy" of Mr Kadivar!" So I asked him to show us where Kadivar had said that. You replied to me with several paragraphs that raised issues irrelevant to what I was commenting on. When I see Iranian expats (and some who I wonder if they are even Iranians) attack Green Leaders, I really wonder about their thinking. Are they really attacking the Green Leaders because they feel an obligation to Iranians inside? Or are they doing it to satisfy their own decades of frustrations? I have no problem with monarshists, Mojahedin, Marxists, Secularists, etc. as long as they don't work to undermine the Green Leaders who Iranians inside obviously respect, those leaders who are the only ones to make a difference in the past 31 years. If and when Iranisn inside lose confidence in the Green Leaders and decide to pursue a different path, I'll be the first one to follow their lead. Does that mean that I don't have my own ideas? Absolutely not. All that means is that when lived in Iran I did my share of fighting this regime, I paid a heavy price for it, and then decided to leave. When I was doing the fighting I did not care about what Iranians in the safety of western world wanted me to do and therefore now I try to treat them the way I want to be treated: it's their right to lead and my responsibility to support. That's what I sorta suspected from the beginning re: hikers.